Sometime around the end of the last month, Mon and I went up to Baguio to attend a friend's wedding. It was a quick getaway, just an overnight stay, so we opted not to bring Lex with us anymore; to his grandparents' and auntie Sheila's delight because that means they get to have Lex over for a night! 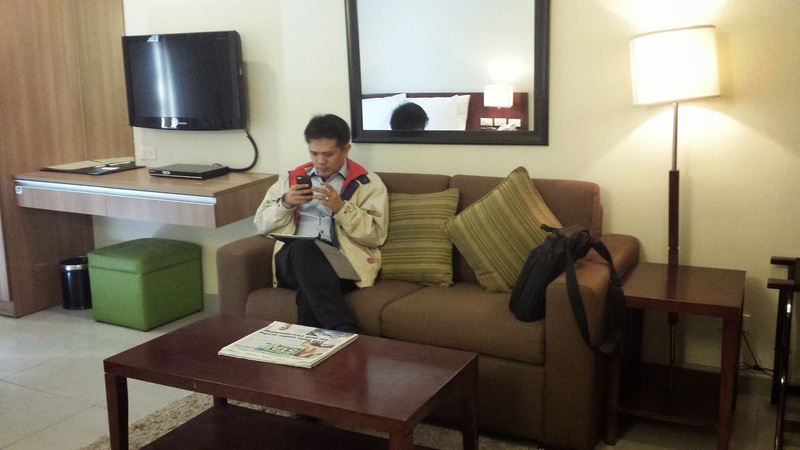 We usually stay at inexpensive hotels in Baguio when we were still single and have no child. But this is because we'd mostly be out during the day and just come "home" for the night to sleep. Life has indeed changed for us this season because spending the night away from Lex will also mean that we didn't have to anticipate waking up in the middle of the night to feed! For the first time in almost a year! Alleluia! So we I decided to choose a more special living arrangement this time. I'm hitting two birds in one stone actually as it was also my objective to check out family friendly hotels in Baguio for the next time we go with Lex in tow. 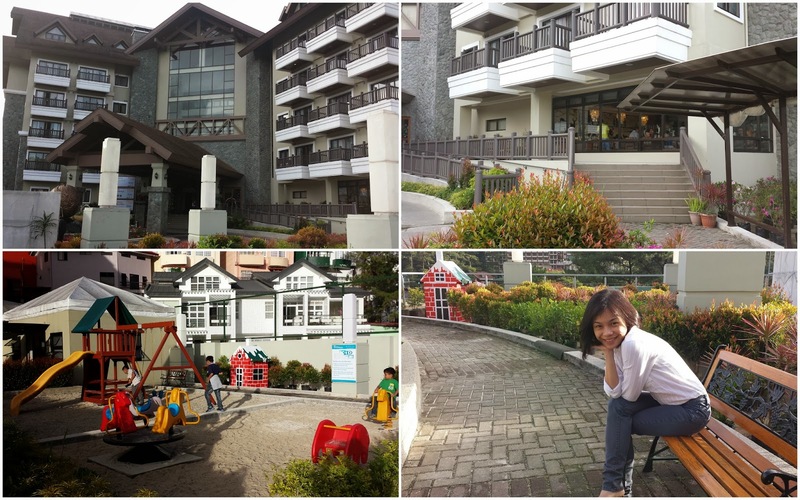 I stumbled upon Azalea Residences in Baguio during my research for top family friendly hotels in Trip Advisor. And let me just say that that hotel truly did not disappoint. I enjoyed spending time outdoors during our second day. 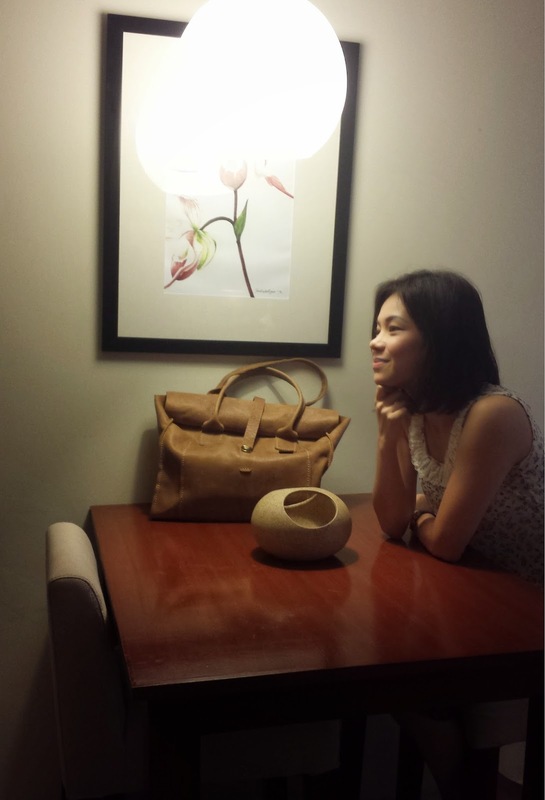 I have never stayed in a place in Baguio as charming as this hotel. 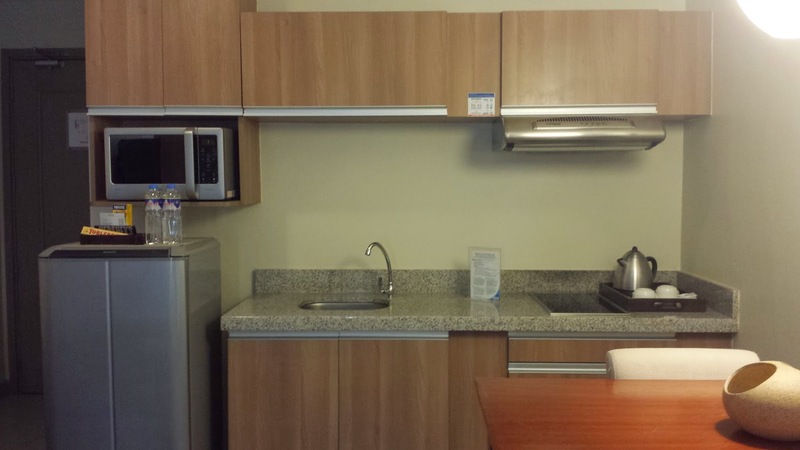 The room is built to fit a queen-sized bed, a dining table for two, a kitchen, and a small living room inside. Considering all its components, we still had ample space to walk around inside the room. This is perfect for when we bring Lex with us next time. I love love love this bed super!! 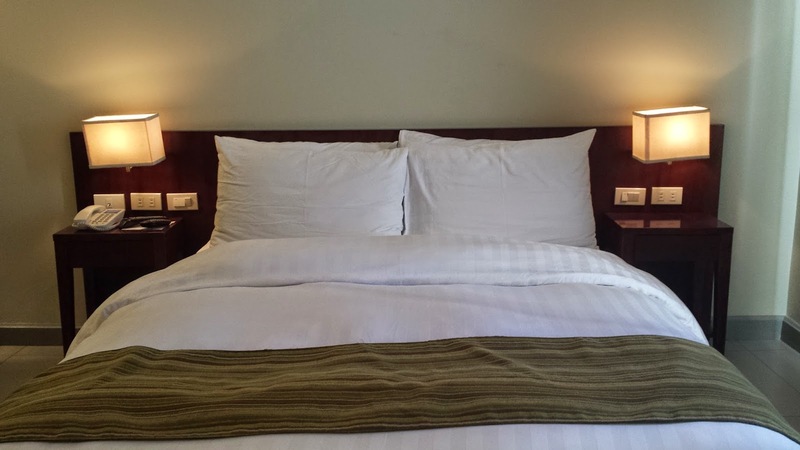 If I may say so, this bed is at par with the beds of 5-star hotels in Manila. This is the bathroom. White tiles, a toilet, a faucet, and a hot and cold shower. It's as simple as it can be. Shower area is a bit small for my taste, especially when I have a baby to bathe, but everything's working well so that's good enough for me. 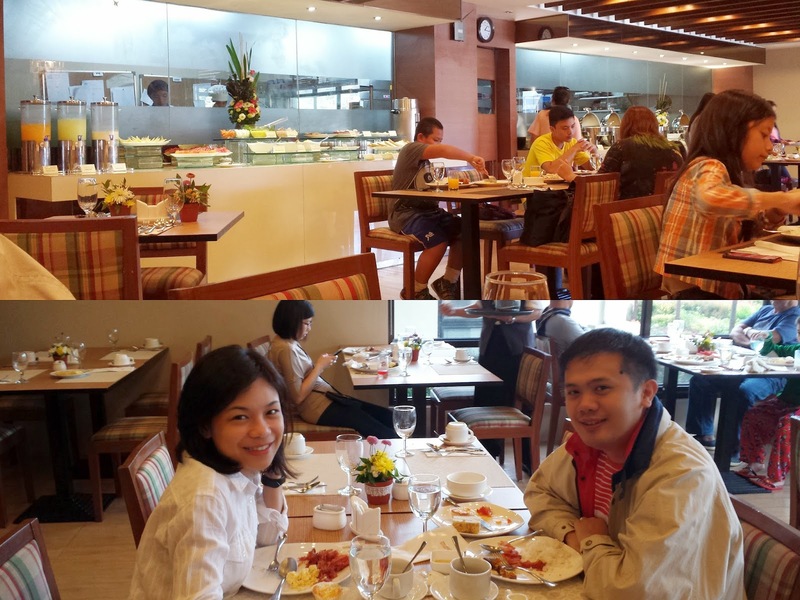 The hotel has a cozy restaurant that serves buffet and a la carte food. If I may be honest, there is really nothing special with the food. What hooked me about this restaurant though is the service. They have superb service! Like, they really do wait on you. We didn't have to wave our hands like madmen to get their attention. ... the space! I love the fact that babies/kids have enough space to play/walk/crawl around. ... the price. If you think a stay here costs an arm and a leg then you're mistaken. For everything included in the package, you really get more than what you pay for. 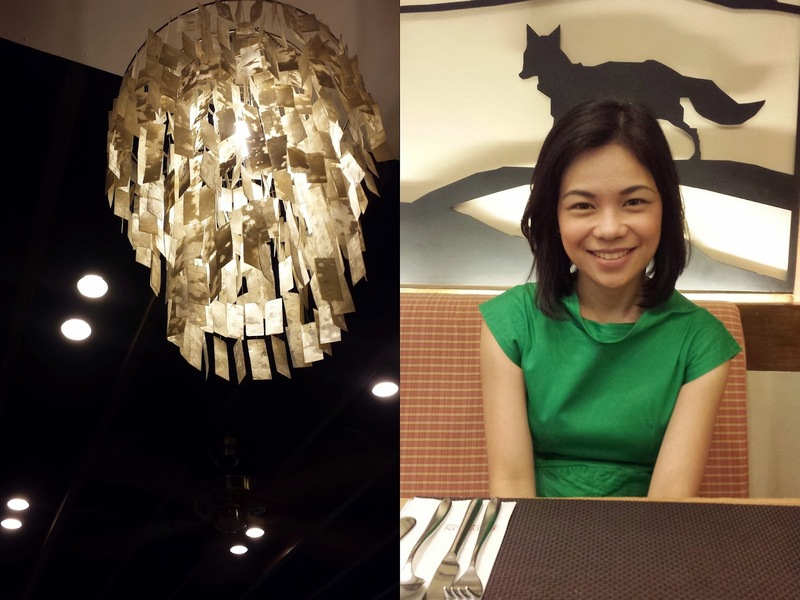 ... the ambiance and overall feel. The place is modern but still looks and feels very homey. 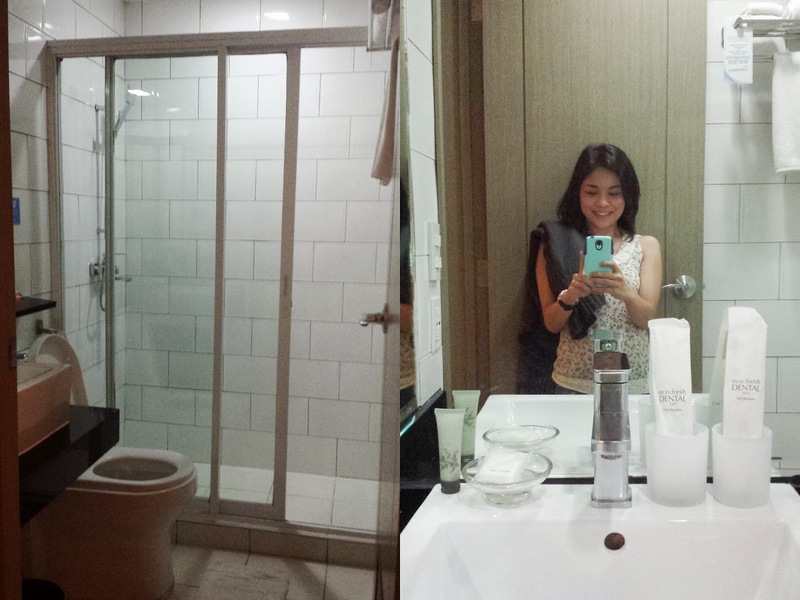 I highly recommend staying at Azalea Residences in Baguio. Should you like to book, try researching for the lowest rates online. Agoda and Travelbook are just two of the online booking websites I use. They're certified legit and they really do offer the lowest rates! So head on to those websites now and start planning your staycation this holiday season.